We finally got a little rain and the fall fishing frenzy is still in full effect. 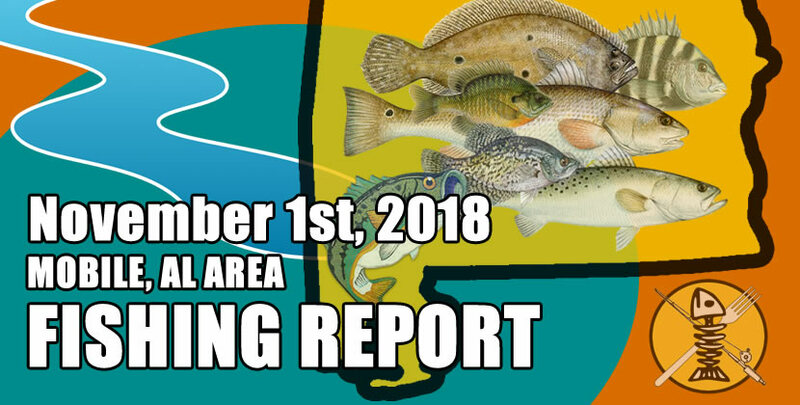 There's been reports of schooling stripers in Chickasabogue and Gunnison creek. 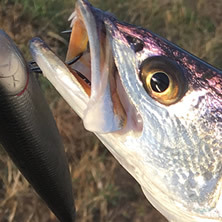 Jerkbait (shad pattern) baits are catching them if you can find em. 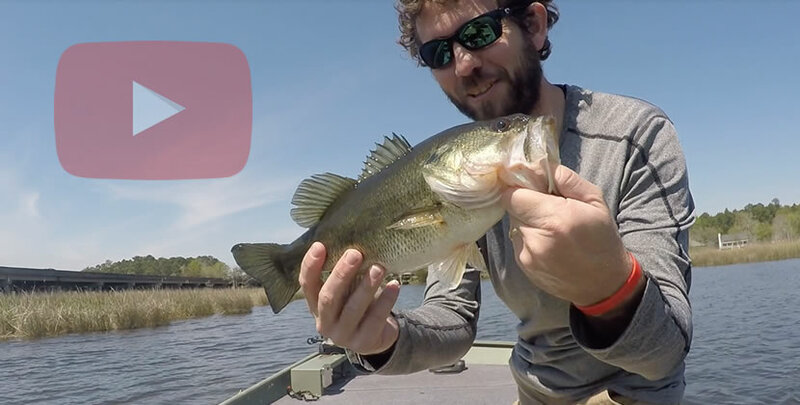 Dog and East Fowl river are still producing great fish; specks, reds, and bass on shad pattern hard-baits (mirrodine, mirrolure, Rapalas, etc) and of course live shrimp. Theodore industrial canal is producing some good sheepshead, being caught off of piling type structures in there. Birds over schools of specks are still being seen in the lower delta as well.